With another fabulous series of Bake Off well under way I have decided to get my baking up to scratch. I will make my way through Queen Mary’s Baking Bible. 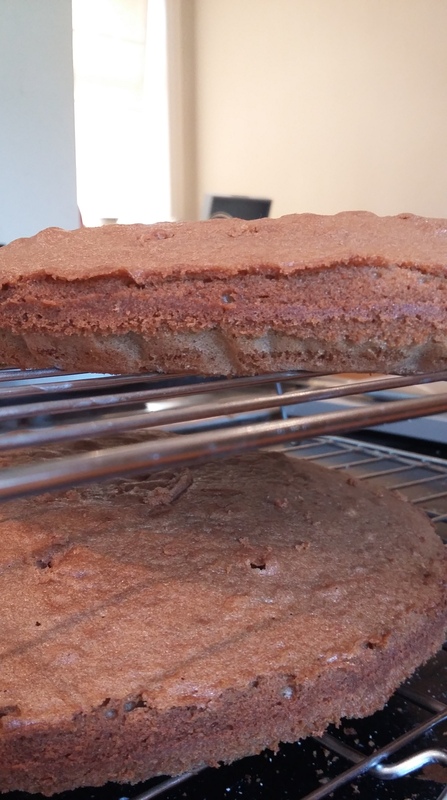 First recipe in the Classic Cakes section is Madeira Cake. I don’t like ground almonds so I’m skipping that one. Next Victorian Sandwich, I made that not too long ago, onto the next one. Coffee Victoria Sandwich, I don’t like coffee and my husband isn’t really eating fatty foods at the moment. I’m in luck with the next one; Chocolate Victoria Sandwich. 50g softened butter, 175g sifted icing sugar, 1 tablespoon baking powder, 1 tablespoon milk, grated plain chocolate to decorate. Pre-heat the oven to 180C/Fan 160C/ Gas 4. Grease two cake tins (mary says 20cm, I’ve no idea what mine are but they look cake sized). Line the base with greaseproof paper, picked up some disks the other day which takes a lot of the fuss out of lining a tin. Pop the bowl aside to cool a little then add all the other ingredients to the mixing bowl and blend until your arms can’t blend any more…or use a mixer for ten minutes or so until it’s smooth and delicious looking. 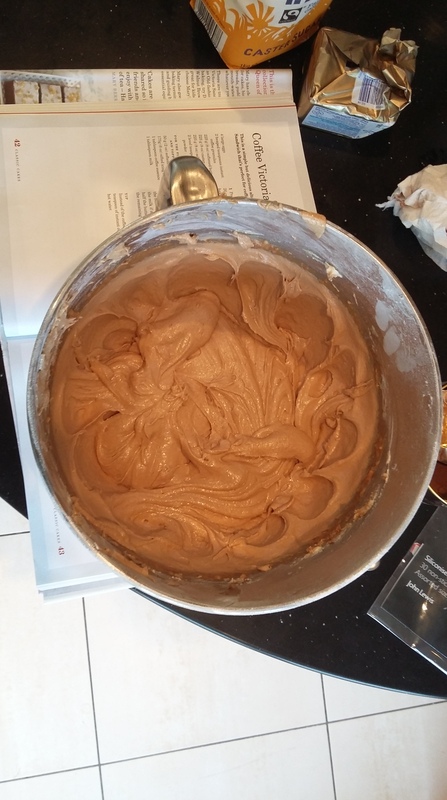 Divide the mixture evenly between the two tins and level it out. then you are ready to bake your cake. 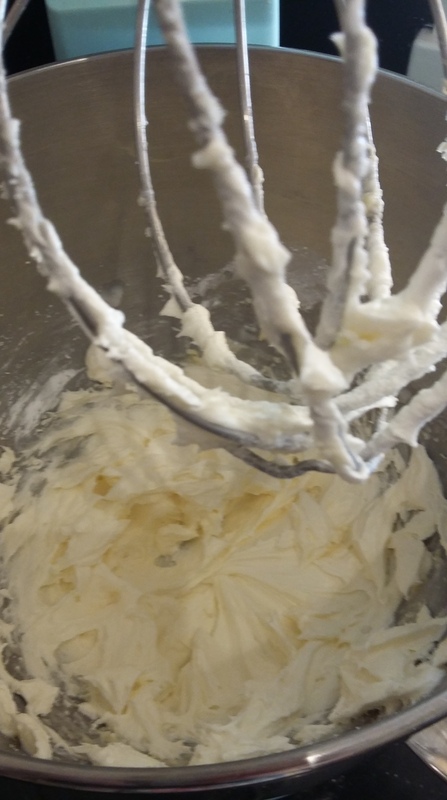 You can make the butter cream now if you fancy, it’s sometimes a bit easier to use when it’s hardened a little. 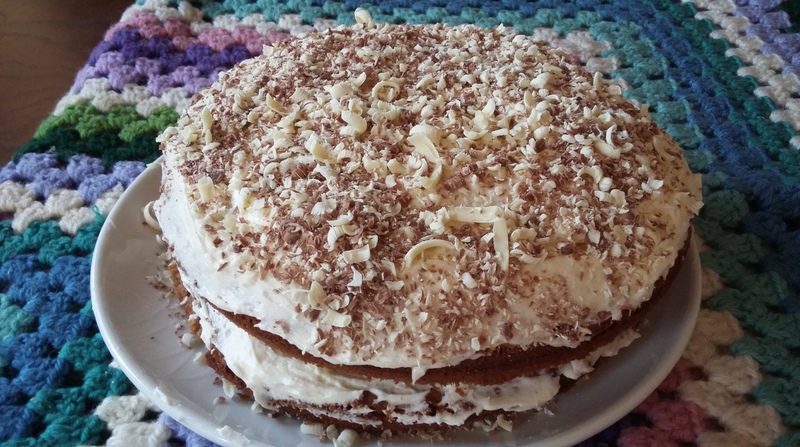 however you’ll need to let the but your cake cool completely before it you can ice it so there’s no rush, have a cup o’ tea or tidy away the kitchen. Mary recommends leaving it for 25 minutes or until the cake is well risen and springs back when lightly pressed. Leave the cakes in their tins for a couple of minutes then place onto a cooling rack. To make the butter cream for the filling and topping mix the butter, icing sugar and milk together until it’s smooth and airy. When the cake is completely cool use half the butter cream to sandwich the cakes together, then spread the remaining butter cream on top. decorate with grated chocolate.